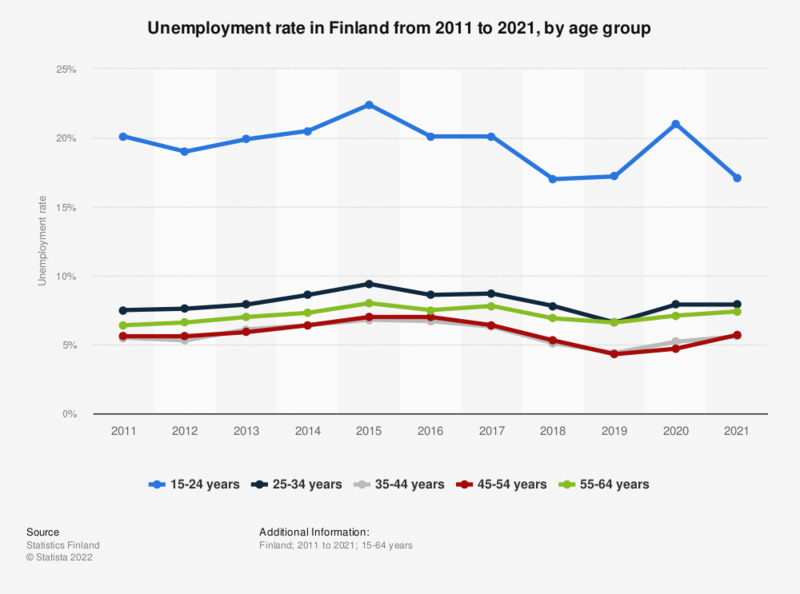 This statistic shows the annual rate of unemployment in Finland in 2017, by age group. The rate of unemployment varies according to age, with the highest rate of unemployment occurring among younger age groups. In this year 20.1 percent of individuals aged 15 to 24 years old were unemployed.